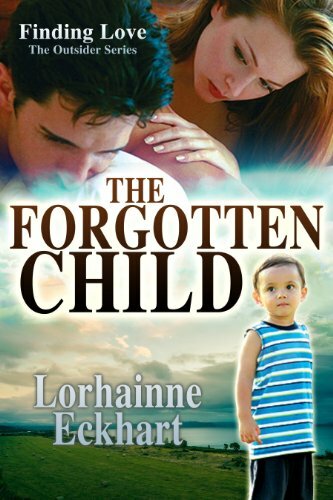 THE FORGOTTEN CHILD a #1 kindle bestseller in romance series and westerns. And Book #1 of Finding Love ~ The Outsider Series. Every woman, at one time in her life, will experience the phrase, I had an epiphany. Well that’s exactly what happened this particular spring morning, when Emily Nelson’s eyes popped open just as the sliver of light at the break of dawn crept up the horizon and, for a moment, there was peace. Until she blinked a couple of times and reality set in. She glimpsed the lump beside her in their king-size bed—her husband, Bob. 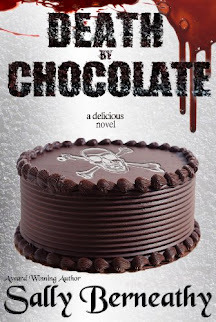 Emily pushed back her thick, dark hair and slid to the side of the bed. She was hit by irritating turmoil, an unwelcome friend, twisting up her insides as if wringing out a wet rag. Not even a shred of interest remained for the man she once loved. She’d more empathy for the crotchety old geezer at the end of the street. Today’s the day. When he comes down, I’ll say it. Her gut twisted, and she knew now it was nothing more than fear of the unknown. She couldn’t wait anymore; it had to be today. It was past time and she knew she’d ignored this decision for too long. The signs were all around her—they had been for months. Now, with no chance to think it to death or get cold feet, the floor squeaked as his heavy footsteps thumped down the hall toward her. Her skin chilled and she had a buzzing sensation in her ears, as if the floor were about to drop out from beneath her feet. Bob, her husband of twelve years, shuffled into the kitchen past her as she leaned against the counter. What made it worse was the way he looked away, as if to dismiss her, a woman of no importance. “It’s over between us.” Wow, she said it. Her courage wavered, but she crossed her arms over her small breasts and stood her ground, feeling enormous in the bulky robe even though she kept her body slim with womanly curves. Bob turned and, for the first time in months, he really looked at her. His dirty blond hair was gelled and impeccably groomed. His pale face flushed and his icy blue eyes appeared so dull and tiny in his round face. His body was ordinary, average height and build—a man who wouldn’t stand out in a crowd. She felt nothing for him, just a hardness; whatever love had been was now long dead and gone. Time stretched out painfully; it took an eternity to pump the blood through her body, roaring louder and louder in her ears between breaths. Bob turned away. He poured himself a cup of the coffee she’d freshly brewed, dismissing her again. He’d mastered that skill long ago, hammering her pride down a little further each and every day. No wonder it took an act of sheer courage for Emily to look strangers in the eye. Hadn’t her dad done it to her own mom? He dropped his mug on the counter, and fired off his delusion. “I don’t know what you’re talking about. I think you’re the one with the problem. Katy’s fine if you’re not around.” His words stung, even though Emily knew it wasn’t true. Why didn’t she expect this? Because her mind didn’t play those kinds of games, that’s why. He didn’t answer her. What he did instead was grab his coat and storm out the door, slamming it behind him hard enough to rattle the double-pane windows. But apparently he wasn’t done with his temper tantrum, because he followed up by gunning the engine of their two-door rusted Cavalier, the tires squealing down the driveway. In her room, Katy screamed. Across the street, lights came on in the front window of the Hanson’s house. Great. She’d need to apologize now, for Bob disturbing them before six a.m. with his irresponsible behavior. Emily raced down the hall to comfort her daughter, furious at Bob for yet another mess he’d created for her to clean up. Except this time, it didn’t stick—the mad, that is. With the words finally out of her, Emily felt the dark, oppressive weight lifting from her back, leaving her with a light peaceful feeling flowing through her body. You know, the feeling you get when you know you’ve finally done the right thing. Even though she had no money, no job, a child, and no idea how she’d make ends meet... still, the right thing. A dismal sounding outcome but, for the first time in years, Emily Nelson felt the sun shoot out a powerful ray of hope.